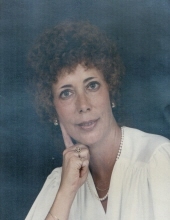 DURHAM: Kay Michael Wienberry, beloved wife of Bob L. Wienberry, mother of Mark Wienberry and Jill Boy, “Grammy” of Hollin Boy, sister of Julia Shoaf (Jimmy), and sister-in-law, aunt and friend to many, passed away on October 26, 2018. Kay was born on December 21, 1938, to Maretta and Archie Michael. She married the love of her life on May 2, 1964. Bob and Kay lived in Winston-Salem and raised their family there. They also lived for a short time in Richmond, VA. Kay was a wonderful homemaker with a talent for decorating. She worked at Wake Forest University in the football office for many years until moving to Atlantic Beach, Florida. Bob and Kay lived in Los Angeles, Roanoke, VA, and again in Florida before moving to Durham, NC, to be close to family, especially their only granddaughter, Hollin. Kay loved just spending time with Bob. They were a great couple. She also loved spending time with her family and getting her hair done every week by Jill Rhew. She will be missed beyond what words can describe. Visitation will be at Clements Funeral Home at 1105 Broad Street in Durham, NC, on Monday, October 29, 2018, at 1 p.m., followed by a 2 p.m. memorial service. To send flowers or a remembrance gift to the family of Kay Michael Wienberry, please visit our Tribute Store. "Email Address" would like to share the life celebration of Kay Michael Wienberry. Click on the "link" to go to share a favorite memory or leave a condolence message for the family.